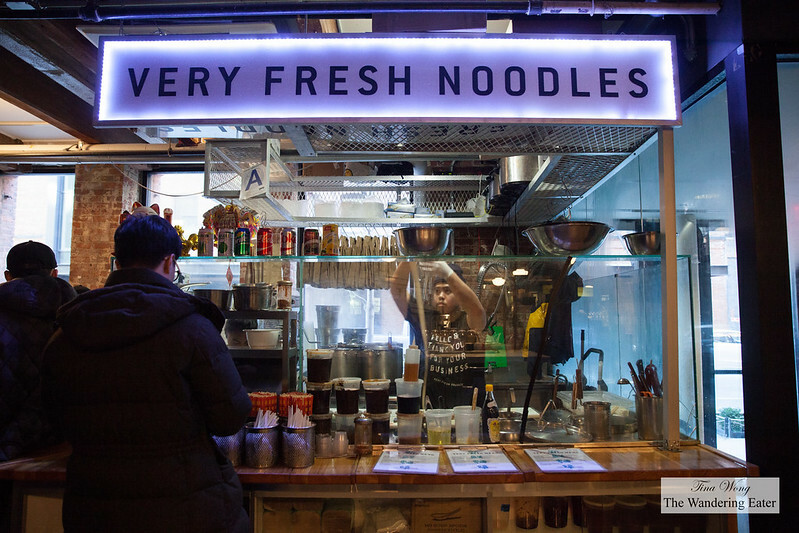 Very Fresh Noodles is one of the newest casual restaurant additions to the Chelsea Market that serves steaming bowls of biang biang noodles. 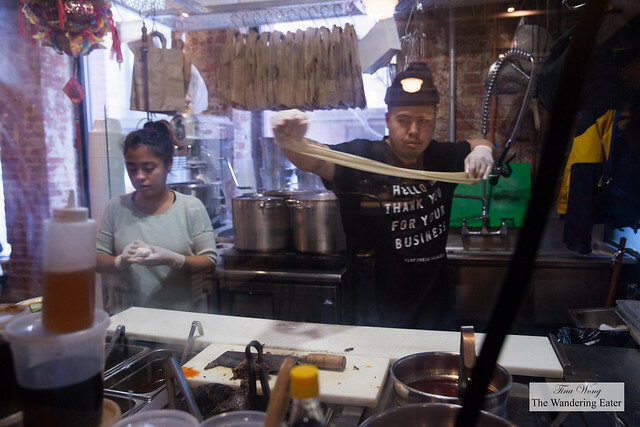 It’s a small stall that has one chef stretching and pulling the fresh balls of dough with such force that you hear the broad bands of dough vibrate at the pull and loud thwack on to the counter. It’s a popular place to have these bowls of delicious noodles that even arriving during opening time on a Saturday morning, there’s a small crowd of people patiently waiting for their food. 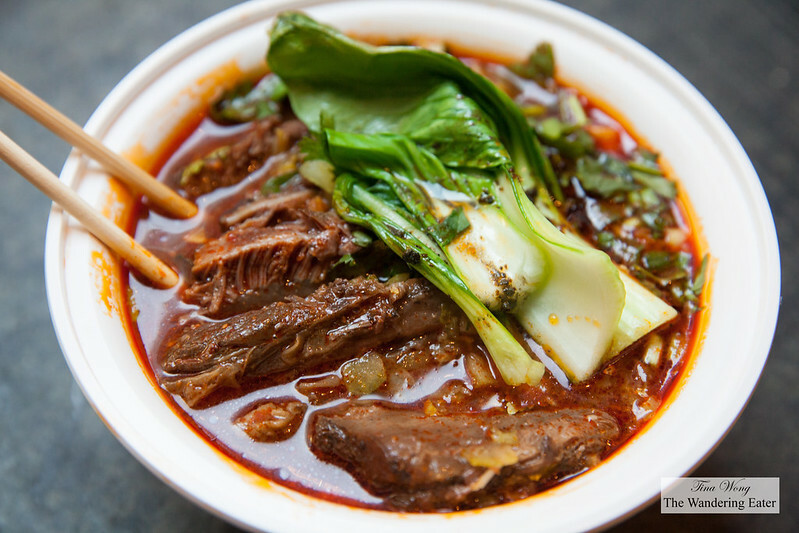 The tingly cumin lamb in soup has a very similar flavor profile to the dry version of tingly cumin beef except the lamb broth flavored with Shaoxing wine, five-spice, star anise, garlic, ginger and soy. The lamb was tender and tasty. 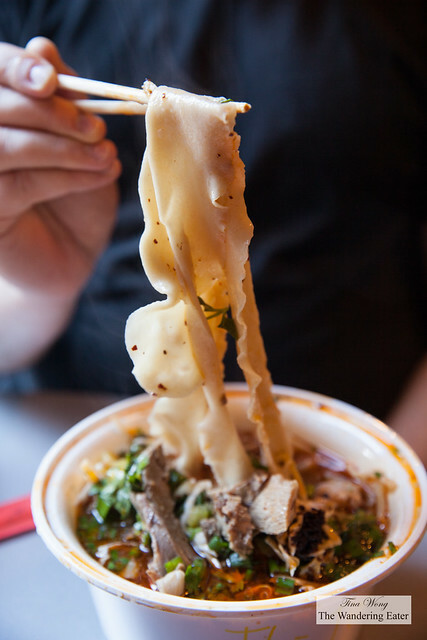 They also offer Taiwanese beef noodles. 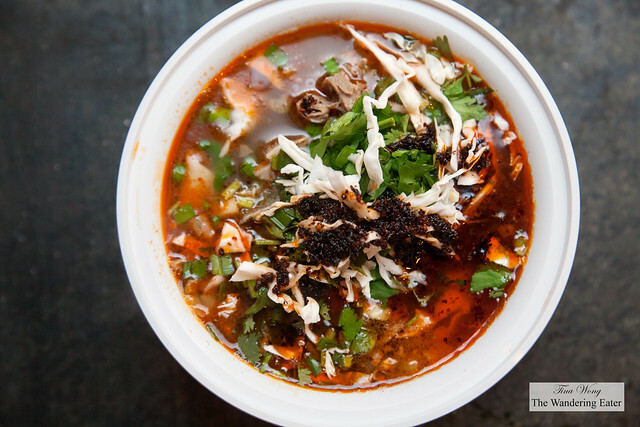 This bowl is an interesting hybrid of both cultures’ food. 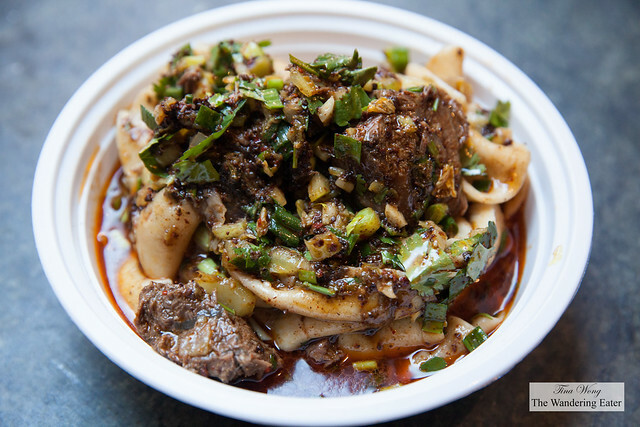 It has both strong characteristics of what makes it Taiwanese beef noodles (the sweet-savory broth from the orange peel, tomatoes, fermented bean curd and doubanjiang (hot broad-bean paste), thick slices of beef and just wilted bok choy added on the effect of Taiwanese beef noodles. with a heavy helping of chopped pickled mustard greens) yet it somehow has flavors of the biang biang noodles and it’s actually a delicious combination. 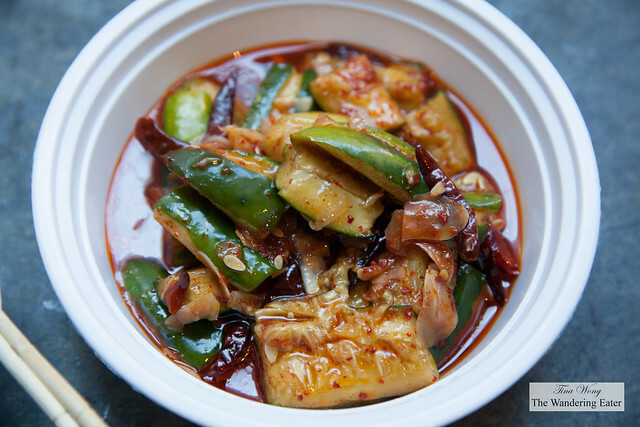 We also had a palate freshener of sorts of the wonderful plate of smashed cucumbers in chili oil. It was pleasantly spicy and there’s a wonderful nutty note from the dark sesame oil mixed in the dark red chili oil mixture.